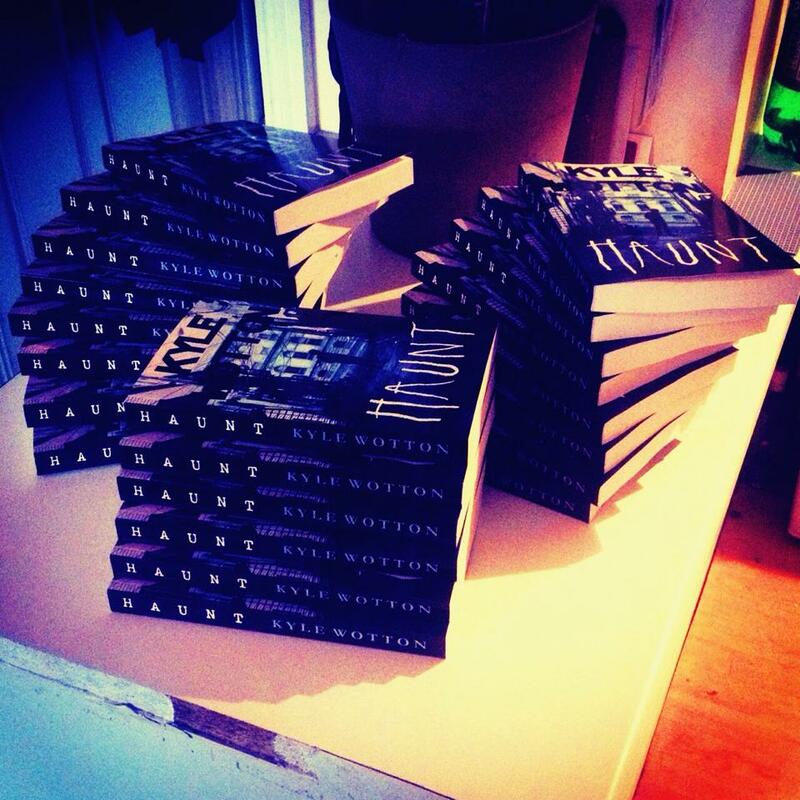 Beyond The Fiction « From Paper To Print: The Journey Of An Unpublished Writer. Happy Birthday, Beyond The Fiction! Today is my Blog’s Birthday! Horray! That’s nice isn’t it? It also sort of ties in with the fact that I have just today sent out a survey to everybody that bought my book asking them for feedback. I’m now going to hide in a corner and wait for the dust to settle before I cry (or rejoice) over the results. I’ve been writing a lot still, but lately flicking from one project to the other and not really settling. I’m in a very strange period of turmoil in that sense, but I think it’s a good thing because I am (at the very least) continuing to write. Next month I will be sending off my manuscripts to the first publishers/agents that might be interested in reading it. More info to come! Much has happened. Aside from the regular “day job” stuff, which isn’t all that interesting, some exciting stuff has happened on the writing side of my life. The first of which was ordering 21 copies of my book, which was exciting enough. When they arrived I was at work, so Scott sent me a picture of the box and it was gigantic. I was practically wetting myself with excitement by the time I got home and nearly tore the box apart in my fervency to see all the books. To be honest, all I can say is that I was utterly speechless when I unpacked the box and piled them up on the worktop. Seeing this for the first time, I truly felt like a writer. Since getting the copies through the post it’s all been a bit go-go-go. I’ve been wrapping and addressing them (a job I’ve almost completed) and have even handed quite a few of them out. The response from people viewing it from the outside has been interesting, because I think a lot of them assume I’ve been professionally published and “made it” as a writer, so-to-speak. You’d think this would give me a good feeling, but I actually feel a bit like a fraud. A non-writer parading as a writer. To combine genres like you did was fantastic. I have never read a book in that narrative before! It was awesome. So that left me feeling really good. Also a very old friend of mine (I won’t dare say how old) called Ellie very cleverly arranged to meet me for the handover in a book shop, so I felt even more like a writer. 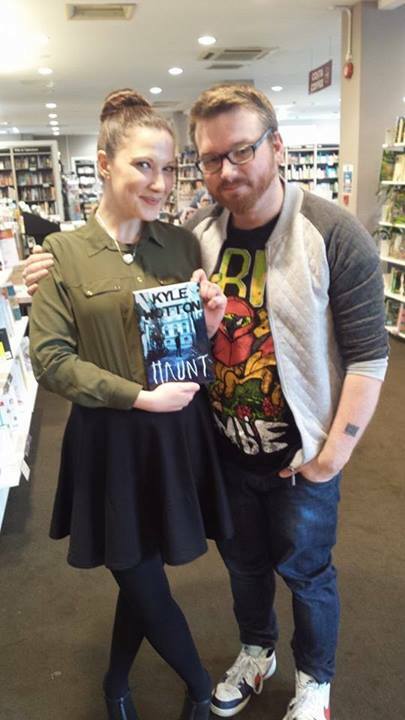 We then got an employee to take a picture of us together with the book – that definitely gave me a glimpse into the potential celebrity culture of being a successful writer. Also, I’ve been reading again, which has been absolutely wonderful and fueling my imagination. 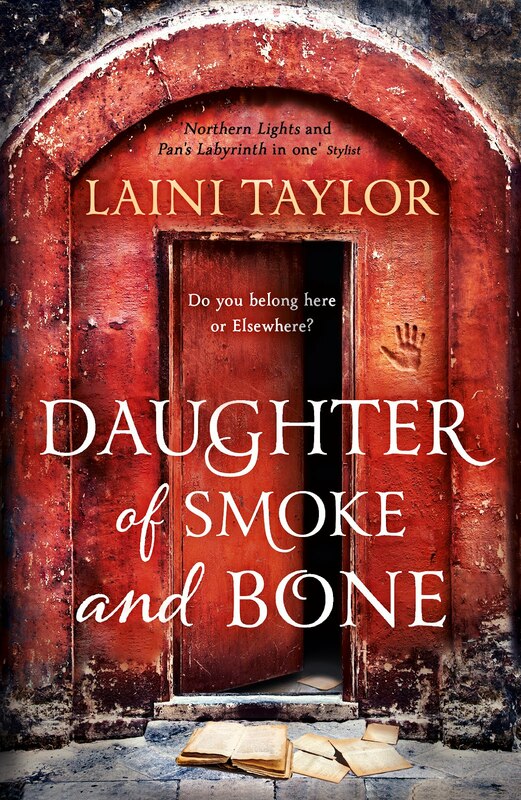 The particular book I’ve just finished was the astoundingly brilliant Daughter of Smoke and Bone by Laini Taylor, which Jennie recommended to me. An absolute triumph of a fantasy novel. A great example of a novel with strong fantasy/romance elements that can work on a multitude of levels and be really engaging. I’m dying to get started on the sequel, but I’m now reading The Road by Cormac McCarthy in the in-between stages. The astoundingly brilliant Daughter of Smoke and Bone has reignited my desire to read. Another amazing thing that happened recently occurred just a few nights ago, when I was going through my old emails in my Hotmail account. I found an email to myself from my old work email from my previous job. Attached was the manuscript of a novel I’d started before really getting into Haunt and certainly before I started this blog. I remembered the manuscript being poorly-written and not very long. Well, in reality it is a testament of how good my writing can be, and a full 50,000 words of work! The most recent chapter or two weren’t my best writing, which might have been what put me off, but certainly the first five or six chapters are… well, probably the best I can possibly write at this point in my life – which hopefully says something! The manuscript, which was tentatively titled Mage but now has the working titles: Tales from the Grimoire or The Mages’ Fall is currently the project I’m focusing on and I’m loving it again. I’ve found a renewed adoration for this fantasy world that I had so painstakingly crafted and then completely forgot about. In the meantime I’m going to hand out the last 8 copies of Haunt and keep hoping for good reviews from friends/family/friendly strangers. I’m really excited with how my writing is going at the moment. I’ve still got to write a proposal to send Haunt to publishers and agents, which I will do during this week (I’m off of the day job for a week because it’s my 27th Birthday on Wednesday), and also I’ll keep reading and writing and hoping for the best. I really wanted to talk about the differences between art and entertainment in literature today, but that can wait for next time. Also, I can’t believe I just wrote a whole post without mentioning Stephen King once! … oops. It’s now less than 24 hours until my Kickstarter campaign closes and honestly, the support I’ve had has been just the most amazing and encouraging thing any young start-out writer can hope to have. I finished the second edit (and therefore technically the third draft) of my book, then I got it all resized, reformatted and ready for publishing. I ordered a test copy of the book, and it arrived and surpassed my already-high expectations. The test copy of the official Haunt second edition going to all my generous pledgers. When I posted a photo of the book on Facebook I was only £10 off of my Kickstarter target, which was £125. After posting the picture I got an overwhelmingly wonderful response from old friends, new friends, family and miscellaneous. It was something I hadn’t been expecting, and my current Kickstarter total sits at £245 – almost 200% of what I originally requested! That means that, in essence, I have sold 19 copies of my book. People have actually paid to read something I’ve written. I never thought I’d feel this much like a real writer. Getting published by a professional publisher was the goal (and still is), but with everything that I’ve achieved so far it’s taken a lot of the pressure off and made me feel like I can always find success in other ways. I’m just feeling very lucky right now. So tomorrow is the day when I order test copies, get a covering letter and proposal started, and really start knuckling down and putting in a hard slog. It’s also my first cheat day in 2 months of dieting after shedding nearly 30lbs, so to bolster my energy I will be eating chocolate, donuts, burger, pizza… you name it! Really everything just feels good right now, and I’m so humbled and grateful to have a support network that I (shamefully) underestimated. Are people actually going to like my book? Oh my God. I’ve been working more on my novel in the last few days than probably in the entire time that it has been part of my life. I’ve been editing, formatting, changing and amending, creating and just all-round going a bit mental with it. I whacked out my copy of ‘Getting Your Book Published’ by Rachael Stock and also my copy of Writers’ & Artists’ Yearbook 2013 and have picked through the measly amount of publishers that accept unsolicited manuscripts. I’ve created a list of viable agents that I can write to as well, and even started planning out how I’m going to get in touch with them. It’s been hard work. But it’s beginning to pay off! My kickstarter campaign is doing really well, I’ve almost reached my target. 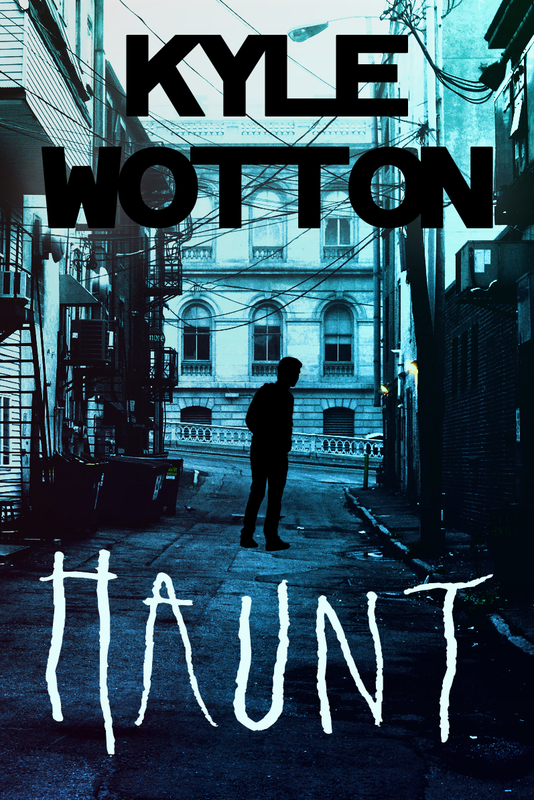 Please click here and pledge, if you have £10 to spare and live in the UK you’ll be helping me out and get a copy of Haunt, but you can pledge as much or as little as you want to help this struggling writer out! The most fun thing I’ve done, though, by far, in these last couple of days, is finish what I’m calling “the Haunt second edition special cover.” It’s the cover that will be on the book I send out to everybody and I spent ages painstakingly working over it to make sure it’s perfect. I’m exhausted and have my day job to go to tomorrow, so I’ll just end with posting the new cover. Here’s hoping that very soon I’ll have somebody to make the cover for me! So I’ve taken a bit of a plunge and started a kickstarter campaign. It’s to raise enough money to print and post copies of my novel to publishers and hope to see some success. If you feel like pledging I’ve got some rewards on there, so it might be worth taking a look if you’re interested in helping out an aspiring writer. Click here to be taken to the page, I would really appreciate any help and will be more than happy to return the favour to others looking for some support! Where do writers get their strength? I mean, I don’t know many aspiring writers. As a matter of fact, I might even only know one (that I can think of) in my extended circle of friends. It was talking to this particular friend (shout out to Rosie, who is lovely!) that I got to thinking about writers-at-large. Where do we find our strength to keep working in such a competitive market, despite the fact that the odds usually don’t appear to be in our favour? I think the first place that I look for strength is in my friends and family. Just having people to speak to about my writing that take it seriously and don’t patronise me because they think it’s just a flight of fancy. Maybe it will always be a fantasy to me – how am I supposed to know? But just having people to speak to that take it as seriously as I do instantly makes it feel like more of a reality. People say you’re a writer when you consider yourself a writer, but it certainly helps when other people think of you as one. Inspiration is, in itself, a form of strength for a writer – well, for anybody who has chosen a creative profession really. I probably get the majority of my inspiration from just getting around. I love being in the car with Jennie, she’ll be driving and we’ll be listening to music and I can just stare out of the window and daydream and get inspired. Either that or walking in nature, or even walking around towns and cities… just anywhere really. I have an extremely overactive imagination so I’m always looking around and dreaming of new worlds, new characters, new scenarios. 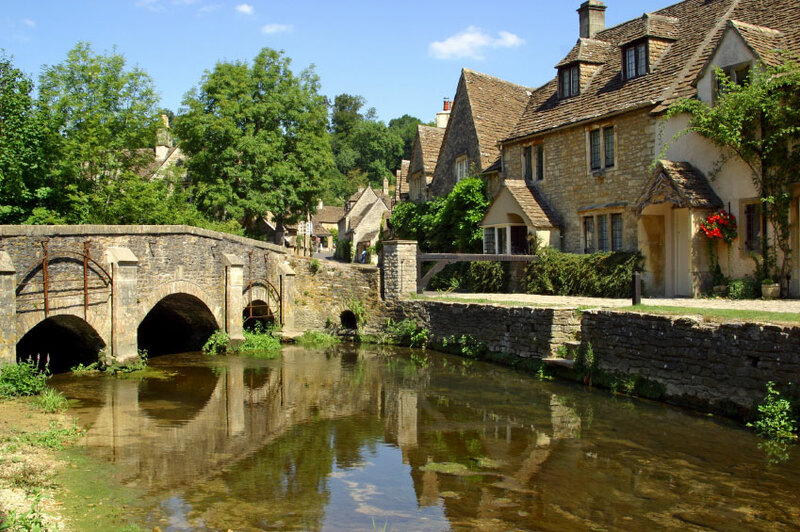 Castle Combe – one of the most inspiring places I’ve ever seen. Music, of course, is a fabulous way to flex your creative muscle. I think you can find so much inspiration in music. There are just as many genres and styles of music as there are genres and styles of literature. If you think about it that way, there’s always going to be a soundtrack to whatever you’re writing. Finding the right songs might be a challenge, but when you do, you’ll find it so much easier to get into the right frame of mind. I think probably the most important strength a writer can hope to have, however, is really a combination of two things: self-belief, and confidence in whatever you’re working on. I say that because when you have confidence in your project, you find yourself getting support from the story itself. If that sounds a bit lame or arbitrary, then fine, but I honestly believe it. There are days when the writing itself seems like a chore, but I keep working because I can still daydream and visualise the story and the characters, and that gives me support. It gives me strength. Anyway, I’m getting distracted by Come Dine With Me and I’m hungry, so I’m going to go. 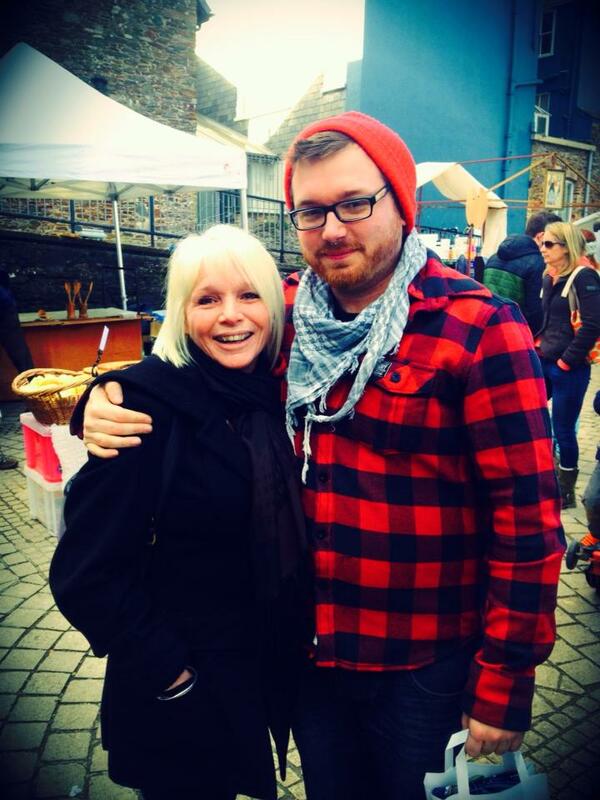 But before I do, I will also suggest that another great form of strength can just come from having a nice day out with your Mum. I’ve been away from my blog for a while. Not because I’ve lost confidence in my blog (or really my writing), but because I’d lost some confidence in myself. I’ve been in a state of flux for the past month not really knowing where to take my writing career from here, but I finally have a plan in place (thanks in part to lots of people in my life). Actually, it’s been horrible being a bit adrift creatively and not really knowing where I was heading. But I started this blog to track my progress from being only part of the way through a novel to invariably get it published. Whether I self-publish, or if I’m lucky enough to get backing from a publisher that actually feels like my modest little supernatural crime-thriller deserves to be on the shelves, I will one day have this published. To that end, I have come up with something of a loose plan, which first of all means I have to edit Haunt one more time. Just a quick toss-over to change some little bits. 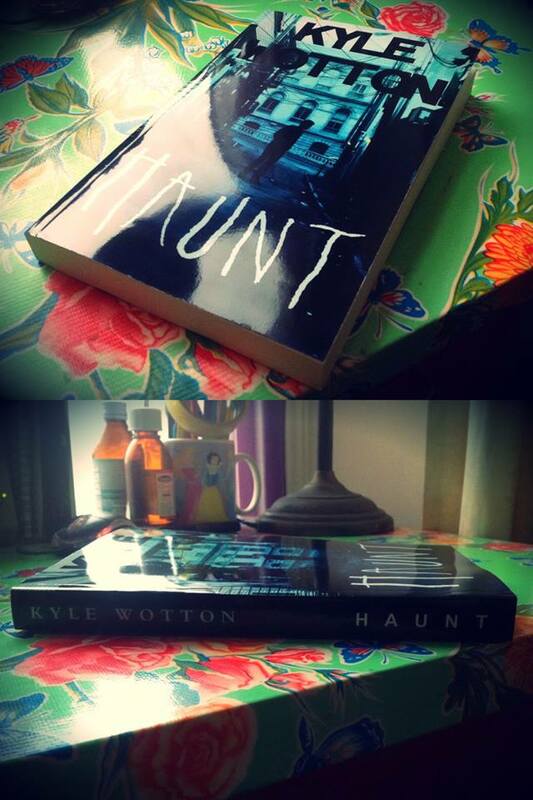 Actually, it’s probably important to mention that Haunt has had it’s first ever beginning-to-end read-through from a very dear friend of mine. I trust her opinion and she told me what I didn’t imagine I would hear… That it was really good. So that was really all I needed to remind myself that all these years of hard work and all the effort I’ve put in to my writing is actually worth it. Whether I find success this year or in the next 5 years (or the next 25!) I am determined to reach my goal. But one important thing I’ve realised this year is that, in the meantime, I have to my backup. I have to try and do something else with my life, just in case my writing never reaches the wide audience I hope it does. That being said, I’ve also found success in a novel I tried writing a few years ago. I’ve refined the story and scraped off the excess fat to turn it into something streamlined and clever, something with a real message. I knew it was never going to be an abandoned project because I’ve got an A4 journal filled with notes and history and all sorts, but it was nice to stumble back into it in such a nice way. I tried my hand at my fantasy epic, but I feel like that story still hasn’t matured enough to become anything real. 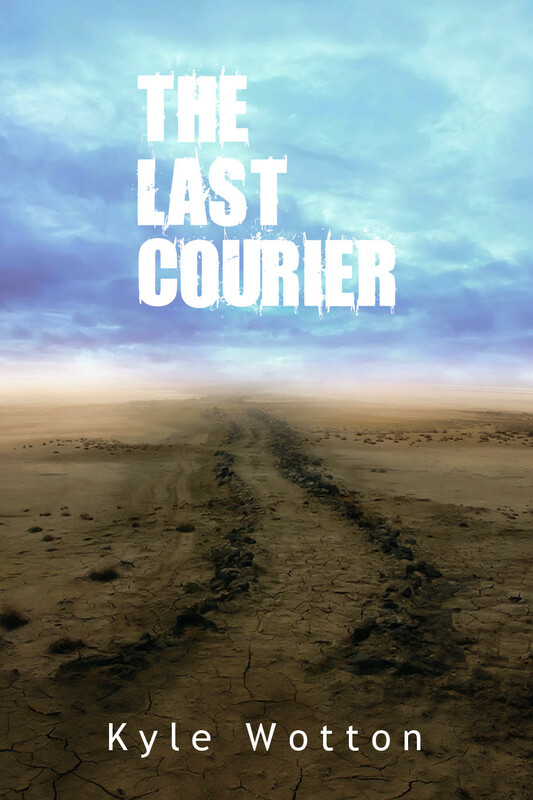 This story however, tentatively titled The Last Courier, is something that I think could really gain some traction. Yes, I often like to indulge myself a mock-up cover when I’m excited about a project. This is my return to form now. Refocusing attention on Haunt, juggling some work on The Last Courier when I feel like writing something new, and all the while keeping my eye on the prize. I’m just going to stay true to myself and always keep pushing to pursue my passion. 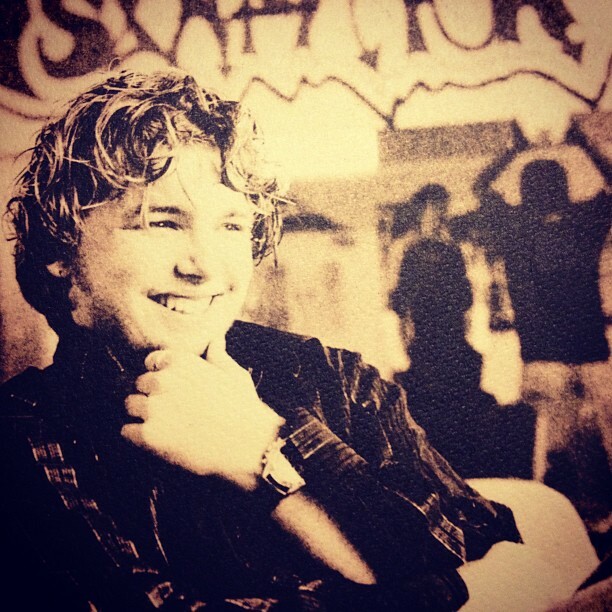 And to close this “return to form”, here is a throwback Thursday picture of me from when I was either 16 or 17 years old. This will not be on the inside cover of my first successful novel. Well… maybe it will.